What are the best casino games to play at Emu Casino? Does Emu Casino accept USA players? Unfortunately, Emu Casino does not cater to the American market. If you’re looking for a safe, reputable casino site that accepts US players, read our USA casino guide. Avalon I and II and Immortal Romance are self-designed Microgaming titles which both have brilliant graphics, gripping and original music scores and intriguing story lines. 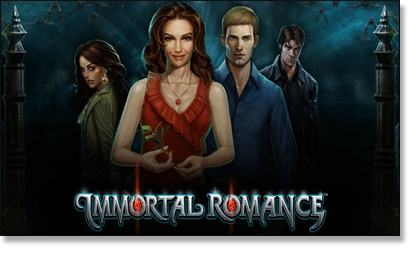 Immortal Romance, which was inspired by the Twilight Saga movie series, features a character cast of witches and vampires and tells a dark tale of forbidden love. The 243 ways slot game boasts a multi-level Chamber of Spins free spins feature, activated when you spin three or more scatter symbols (the lion’s head door knocker), and a randomly triggered Wild Desire feature which can turn all five reels wild. Avalon I and II revolve around the legend of King Arthur – nursed back to health on the island of Avalon by the Lady of the Lake whom gave him his Excalibur sword. The original game is a five reel and 20 payline pokie, and the sequel boasts 243 winning ways. With numerous bonus features to help you along the romantic and medieval journey, including the incredible eight-level Grail Bonus Quest, expanding wilds, a random Merlin feature, Holy Grail scatter icons and gamble bonuses, these two state-of-the-art titles are a must play for any pokie fan. This game follows the usual European roulette rules (36 numbers plus one green 0), so your odds are superior than that of American roulette. Standard roulette payout rates apply, and the graphics, animations and ambient sounds all create an authentic casino experience reminiscent of what you would get at a brick-and-mortar gambling venue. Chip sizes in this variant range from $1 – $500 and you can use any combination of chips on the betting table, however you must have at least $10 worth of bets before the round can begin. Once you’re happy with your bets you can hit spin. This VIP game is designed for high stakes players who want to win big. Play this high stakes online roulette title. Vegas Dreams has packed all the glitz and glamour of the Old Vegas strip into the one slots game. It’s made up of neon lights, classic pokies sounds and iconic Vegas symbols. It’s a 5-reel, 3-row pokies game with 20 paylines. You can adjust the coin value from $0.01 – $0.50 and the number of coins you’re betting per spin from 1 – 5, so you have a good amount of control over how much you’re spending. Three or more scatter symbols in the game will win you 15 free spins. Any winnings you make during a free spin round will be tripled and a new round of free spins can be triggered while the free spins are already underway. This is a classic version of blackjack that let’s you play up to five hands simultaneously against the dealer. This elegant no-peek game (European rules) boats great graphics, top animations and realistic sound effects, providing a genuine blackjack experience. 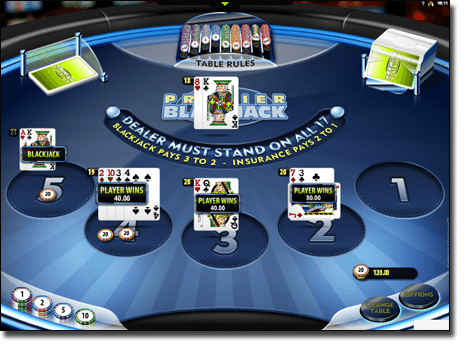 You can place differing wagers on each hand, and have the option to choose different table appearances, an auto re-bet function, differing card styles and sound settings. This game is played with two standard decks of playing cards and the dealer will always stand on all total of 17. The maximum wager per hand is $200 (minimum is $1). Spanish Eyes is a mesmerising, salsa themed 5-reel, 3-row slots game. Everything from the passionate guitar sounds to the beautiful painted images in the background makes the mood of the game calming and romantic. If the Spanish Girl icon lands on reels 1 or 5 you win 100x times your triggering bet, and three or more Rose icons will win you 12 free spins, plus any of your winnings are tripled when a round of free spins is underway. Whenever you hit a winning combo on the reels, you have the option of putting your winnings through the Bonus Gamble Feature where you try and guess the colour or suit of a card. If you guess the colour correctly your win is doubled, and if guess the suit correctly your win is quadrupled. Play Spanish Eyes at Emu. Louisiana Double is a fun and popular video poker variant. The game is played with a standard deck plus a joker card, and the joker can be played as any card you wish. You are dealt five cards and you can select the cards you wish to hold, the rest will be released and these cards will be replaced with new cards drawn from the deck. Like all video poker, there are differing payout rates. You can view the specific payout rates at any time during the game. 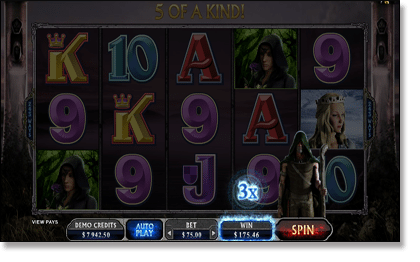 Bet 1 – 5 coins per hand and alter the coin value from $0.25 – $25.00. Mayan Bingo is an exciting way to play bingo with a distinct archaeological flavour to it. In Mayan Bingo, 30 balls are drawn from 90 numbered balls. You can purchase up to four playing cards for any one round, and watch as they are auto-daubed as the game unfolds. You may purchase playing cards for $0.10 – $2.00 – the more you spend on each card the more you will be rewarded when you win. Each playing card is a 3 x 5 ticket and there are two ways in which you can win a prize in Mayan bingo; if you cross off the marked pattern with your numbers (each playing card has a different pattern to be marked off), or you win a larger prize if you cross off all numbers on your playing card. If you’re closing in on a win when the ball runs out, you can purchase an additional ten bingo balls for a second chance to get that win. Should you want to play with real money, you can be assured your details and funds are safe at Emu Casino. All withdrawals and deposits are protected by 256-bit Secure Socket Layer encryption technology. There are payment options available in; AUD, USD, CAD, Euro and GBP – with plenty of different payment types for each. Emu Casino has earned the eCOGRA seal of approval for fairness and security. Sign up for an Emu account (no costs involved) and start winning with your favourite casino titles.